Well, living in sunny Queensland not only gives you lovely weather it is great for growing some of the most delicious sweet tropical fruits! 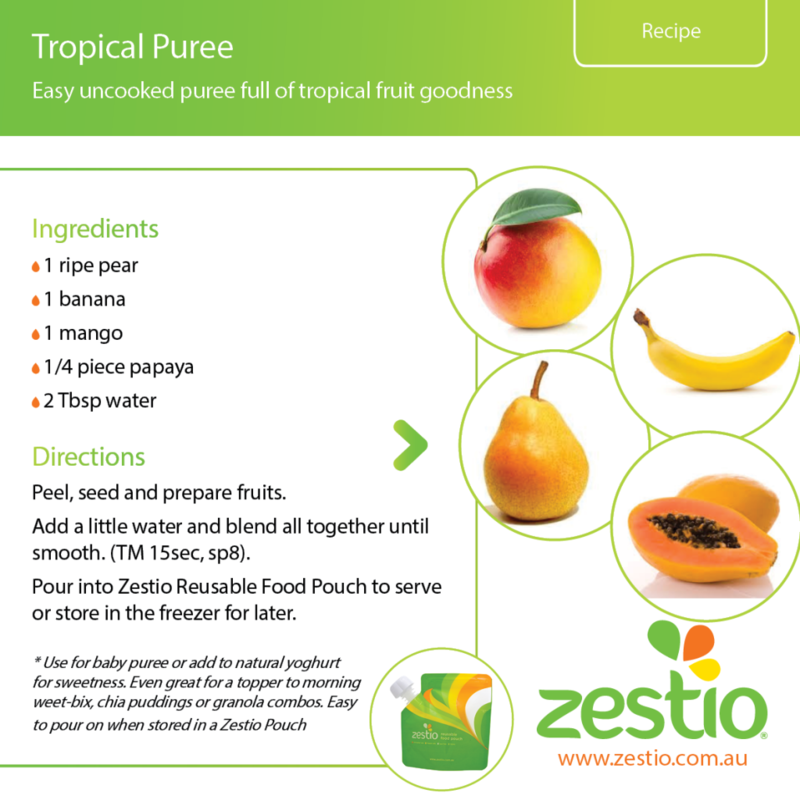 As we are in the typical tropical fruit season, I had to share this tropical puree recipe. I find it’s a great one to whip up when I’m on the go too, as all the fruits can be added without cooking them. RAW!! If you can not find fresh mango, defrosted frozen mango pieces work just as well in this recipe. 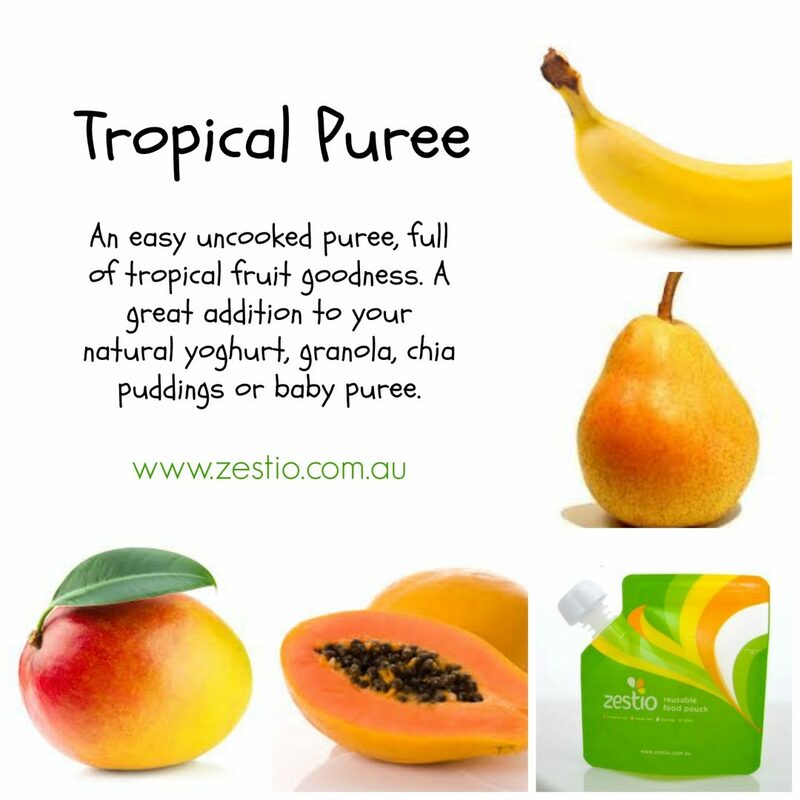 This makes a lovey sweet tropical fruit puree for babies meal, toddler snack or anyone! 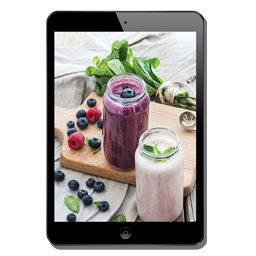 I like to use it to sweeten our natural yoghurt, top my morning granola or dessert! 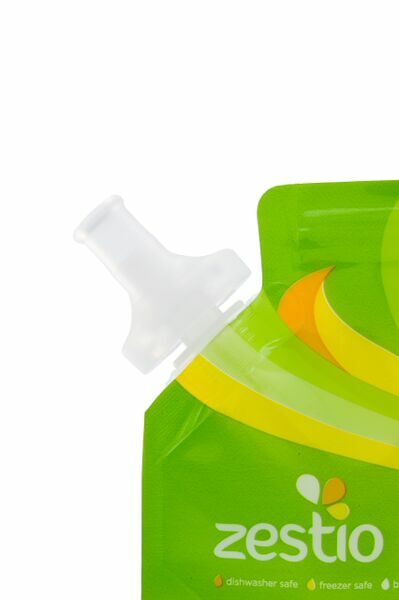 It’s ever so easy to store and pour directly from the Zestio Reusable Food Pouch too. Peel, seed and prepare fruits. Add a little water and blend all together until smooth. (TM 15sec, sp8). 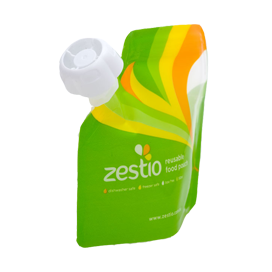 Pour into Zestio Reusable Food Pouch to serve or store in the fridge or freezer for later. 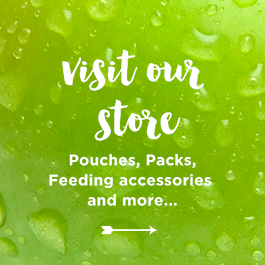 Using pouches with your bub? 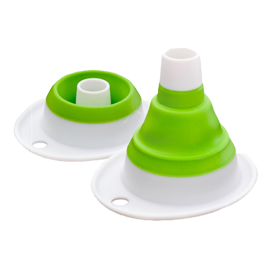 If your baby enjoys eating puree snacks from a reusable food pouch, why not attach our innovative, Australian Made and Australia first Zestio Pouch Topper!! 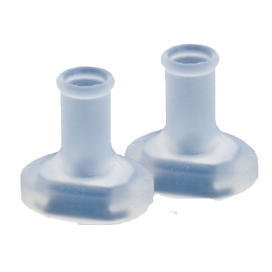 Protect your babies gums from the hard rough edges. 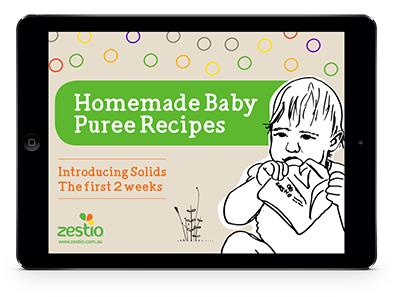 Visit here for more baby food recipe ideas and starting solids with your bub.